Here’s a clever way to promote yourself and/or your business to a new audience. 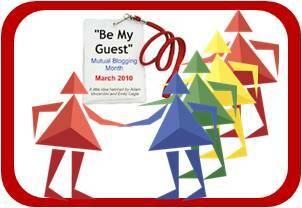 March 2010 is BeMyGuest month. Thought up by Adam Vincenzini and Emily Cagle, it encourages social media bloggers and tweeters to share ideas on each others’ postings. As they state on their website: “It’s what social media and sharing is all about.” The campaign has a simple approach: during March, you can get to feature as a guest on at least one other person’s blog and invite at least one person to post on your own blog. You start by using Twitter to tweet out your own blog details with the hashtag #BeMyGuest – including what your preferences are (eg topics, editing style etc). At PPG, we are delighted to be hosting blogs written by other people on our Dangerous Marketing Blog. These are people from the on-line world who all have marketing in common – and we hope their different approaches will help and inspire ideas for new marketing approaches. 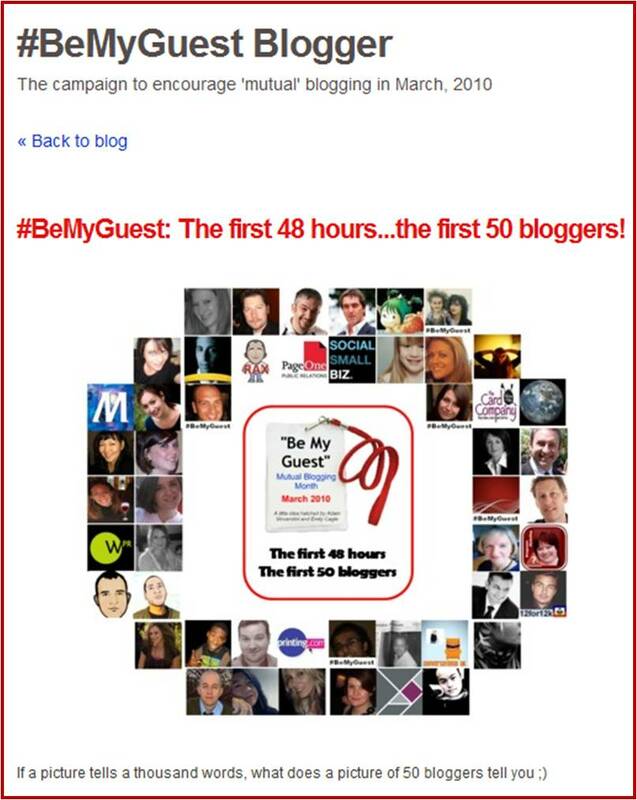 Look for our #BeMyGuest Avatar (to the right) to indicate our guest blogs. Robert Pickstone wrote a follow up post to a piece he had done on his blog Is it wrong for others to write your company blog? Mark Jennings, Managing Director of D8 Digital gave us How Far Would You Walk to Save 20p? Cats, Clients and Communication on Colin Shelbourn’s Radio Cartoonist Blog, complete with cartoon drawn by Colin for the article. The #BeMyGuest idea is a simple way to promote your business brand to a new audience. Give it a try for yourself in March! Our new blog from Dangerous Marketing has published its first article – The Wonder of Social Media – bringing Outer Space into your home! Follow that Balloon – how MIT demonstrated the power of Social Media. At the start of December 2009, a section of the US Defence Department set up a very interesting competition. They were going to release 10 weather balloons from secret locations across the USA and their challenge was that the first team to use social media to find out the correct latitude and longitude of all 10 balloons would receive prize money of $40,000. And the members of the MIT Media Lab’s Human Dynamics Laboratory decided to take up this challenge – and in the process of winning the prize, may have provided a valuable insight into how social media can be used to mobilise resources during emergencies. The article A Social Network that Ballooned written by Larry Hardesty on the MIT News web pages explains how MIT’s Media Lab team came up with the winning approach (against 4000 other teams). 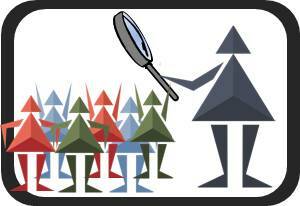 They used their expertise in using digital media to analyse and alter the behaviour of large groups of people, in particular when looking at large-scale collective problem solving. The resulting data will be very interesting for government agencies to learn how to use social media to collect and manage resources in disasters and emergency scenarios. The key to the winning approach was that it was based on a very simple way of motivating individuals through incentives. Essentially the team simply offered to share the prize money between everyone that help to find a balloon across the country. How big their share would be depended on their involvement in finding the balloon – if you provided the correct co-ordinates, you would get $2000; if you were the one that had invited that person, you got $1000; whoever invited you got $500, and so on. What was really clever about this was that the MIT Team worked out that no matter how long the chain got, the total payment would never be more than the prize money! So if a 5-person team at MIT can mobilise people across a country as large as the USA by using social media, just think what social media could do for your business! Find out more about the MIT Team’s Red balloon Challenge at their website or visit the MIT Human Dynamics Lab to find out more about their research into Reality Mining.